If you have a hard time telling one key from another or at least have a hard time getting your kids to remember which of your keys opens the front door, Laurel has an easy and inexpensive way to color code your keys. Nail polish!! 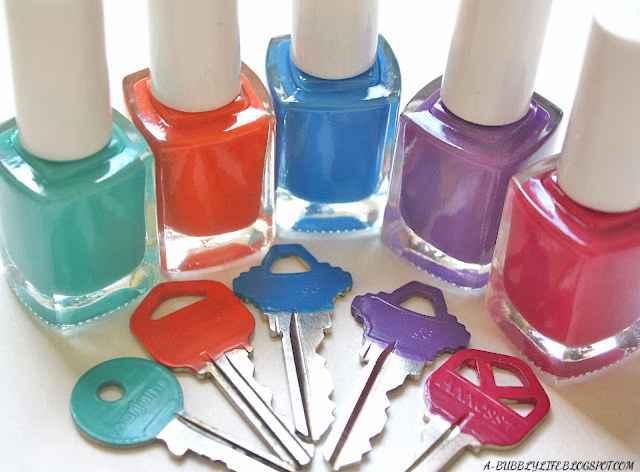 You can check out how she created her DIY color coded keys over at A Bubbly Life. 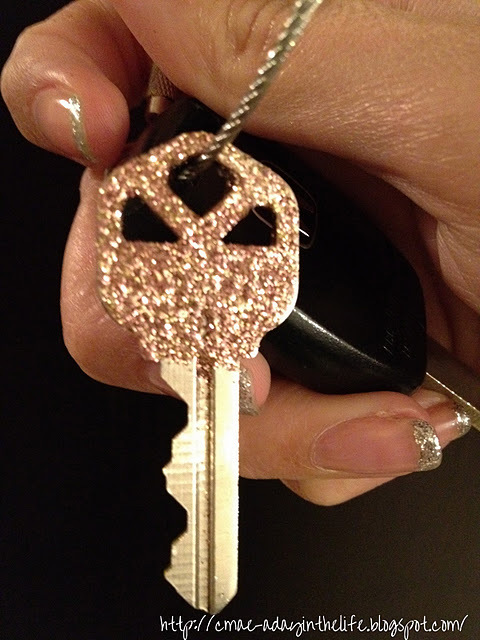 And if you want your color coded keys to sparkle, check out these DIY glitter keys from Happiness Is. Beautifull and simple! Clever! Thank´s!